The Energy Saving Trust (EST) estimates that at least 60% of your energy costs will be concerned with your boiler, which means that having an energy efficient boiler will make a big difference to your bills. If you have an old gas boiler, now is the time to replace it with an A-rated high-efficiency condensing boiler. If you also improve your heating controls, this will significantly cut your carbon dioxide emissions and could save you as much as £305 per year*. Installation costs will vary, but a straightforward gas boiler replacement will cost around £2,300. All modern boilers have to be condensing boilers by law. Given proper maintenance they will burn fuel very efficiently but condensing boilers have bigger heat exchangers which recovers heat from the gases escaping up the flue and is therefore more efficient. When the remaining gases get so cool that they condense out (hence the name for these boilers), even more energy is recovered and the efficiency is higher still. If you have mains gas, a gas boiler is usually the cheapest option. If you have oil, LPG or coal then it might be advisable to investigate getting a gas supply. You could also consider a wood fuel or biomass boiler which burns logs, pellets or chips and is connected to your central heating system. Some of these boilers can be fed automatically, which makes them even more efficient. The installation costs for biomass boilers can be quite high, but if you replaced an electric heating system with a wood-burning system you could save around £580 per year in energy bills. Combi boilers are nice and compact which means you don’t need a lot of space to house them, however a downside should you be wanting to have solar thermal panels installed is that combi boilers are not usually compatible with solar water heating. Once you’ve decided which boiler to install the next trick is to find an installer to do the job. 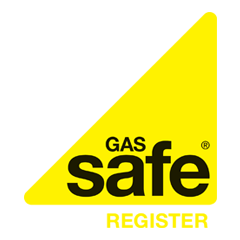 All installers must be Gas Safe registered by law and you can find a list of them on the gas safe website. You can also install other devices to help you save energy further, such as heat recovery devices like passive flue gas heat recovery systems. These systems capture some of the lost energy and use it to heat your water. *Source: https://www.energysavingtrust.org.uk/home-energy-efficiency/boiler-replacement. Figures based on installing a new A-rated condensing boiler with a programmer, room thermostat and thermostatic radiator controls (TRVs) in a gas-heated home from an older boiler with a programmer and room thermostat. Based on fuel prices as of April 2018 for a detached house.